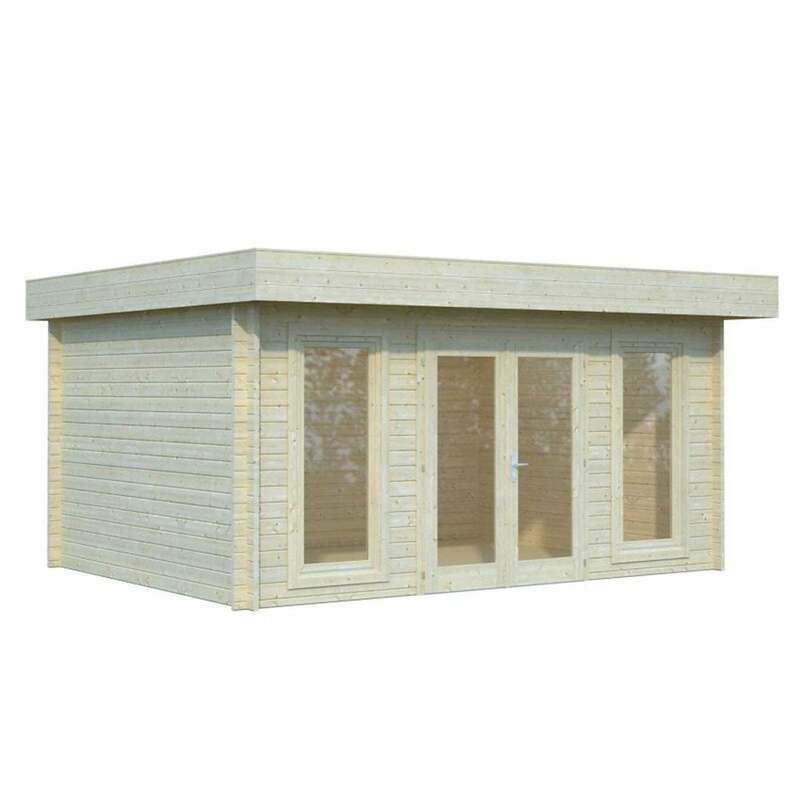 Palmako Bret 1 14.8m²: The Palmako Bret 1 comes in this attractive design with a modern flat roof and would make a wonderful addition for any garden, ideal to use as an outdoor office or a relaxation space. The 14.8m² building is constructed using Nordic Spruce, 44mm thick interlocking timber logs and 19mm tongue and groove roof for a high quality finish. The Bret 1 Cabin features two opening, double glazed full length windows to allow for ample natural light and airflow into the interior. The double doors provide easy access when moving items especially with its practical low door sill and also includes a cylinder locking mechanism to secure the building when not in use.